Schedule a test drive near Fargo with any of the Dodge SUVs shown below! 2019 Dodge Durango GT! NAVIAGATION/BLIND SPOT MONITOR/CROSS PATH DETECTION! 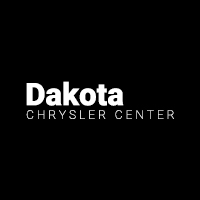 Shop New Dodge SUVs at Dakota Chrysler Center Near West Fargo! Whether you choose the Dodge Journey or Dodge Durango, you can expect powerful performance, a cozy interior, and all the benefits of a sports utility vehicle. For opportunities to save on a new Dodge SUV, be sure to check out our current new vehicle specials. If you’re ready to buy, apply for financing online, and one of our finance experts will be in touch with you shortly.